My 13 Cents: Will having a lot of credit cards hurt my loan application? Will having a lot of credit cards hurt my loan application? Disclaimer: This post is from my own personal research and I am sharing with you MY experience. When I tell people I have 20+ credit cards people are amazed. I'm a dental student and so one question that comes up is: "won't having a lot of credit cards hurt my future business loan application?" Answer: NO!!! The fact that I have a lot of credit cards in and of itself is not a bad thing, if fact it can be a good thing. If I mismanaged my credit, then YES of course having that many credit cards is a bad thing...in fact mismanaging your credit cards on 1-2 cards is also bad! But if you never miss a payment, have low credit utilization, and have good history with your credit cards, your loan application will be good. "While 20 “revolving” accounts is quite a few – the most important factor is the amount of credit you have used vs. the amount of credit you have available. If you continue to pay off the balance’s each month, you shouldn’t have any issues maintaining your high credit score. " "Great question! Having multiple credit cards is not a bad thing. Make sure you pay them on time and if you can, pay more than the minimum amount required each month. This will help your credit and credit score overall." "Thanks for reaching out. I saw both Kris and Morgan’s responses and I agree with both. The only things I might add are that if you were to decide to close some of the credit cards, I would recommend closing the newer cards as opposed to the well-established cards. The longer you have an account open the better it is for your credit score. The other side of that is closing an account can temporarily hurt your credit score. Not by much, but a small amount. Your score will recover quickly but just want you to be aware. Your goal in managing your FICO score should be to keep it above 750-775. Anytime your score is over that threshold you are typically going to get the best rates and offers." Thank you Christian for your email, it sounds like you are doing great. · 750 is a great FICO. · I know you said you are paying them off – continue to pay as much of card balances down or pay them off - keep them all open. Don’t close credit cards. · When you have time take on the challenge of being a speaker for whatever public or school event you have. It all comes down to your debt to income. The nice thing about credit cards is we just look at the minimum payment. You would probably be just fine! Call me any time to run some numbers." DON'T use credit cards unless you pay your balances off in FULL. 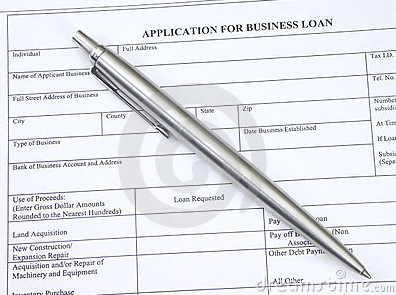 The main focus on loan application is your FICO score and how well you manage your credit. My score has actually increased since I started getting a lot of credit cards. Other factors come into play, but if you manage your credit cards well, it won't hurt your application. Try to keep your oldest credit cards open (this will help your FICO score)....preferable this would be a card without an annual fee. It's okay to close credit cards, but it's better to close your newer ones. Your score will drop a little temporarily when you close a line of credit, so don't do this before applying for a loan. Don't open a lot of credit cards 1 year prior to applying for a big loan. Getting 1-2 would be okay, but don't do that right before applying for your loan. Different lenders will look and focus on different things. Remember, there are a lot of banks out there so you can shop around if one lender is not helpful to you. What do you think? Any of you have experiences with applying for a large loan while having a lot of credit cards/credit lines?